With a Museum Guide, participants will enjoy “slow looking” and explore various works by artists in our American galleries. We’ll take in a monumental panorama commissioned to promote tourism of the unexplored American West, travel to an Ecuadorian volcano, and relax in the twilight of an Italian campagna. 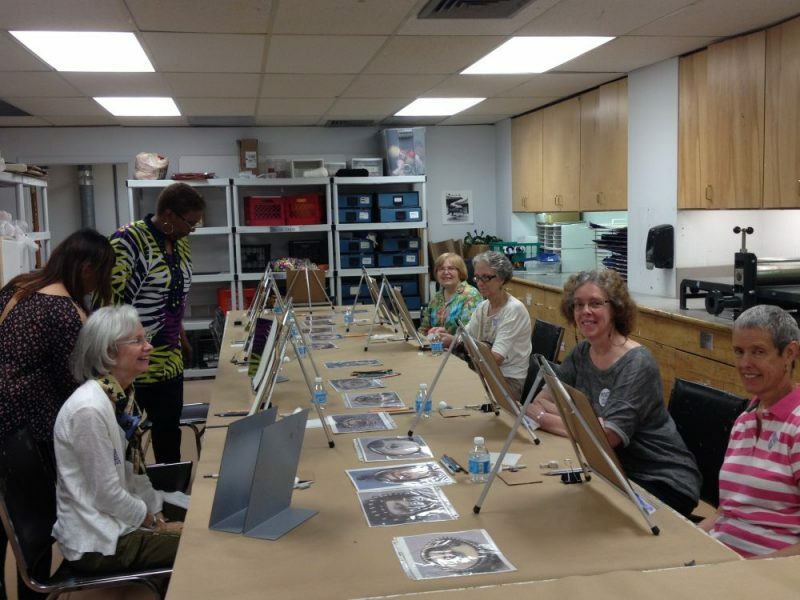 In the studio the participants learn how to draw landscapes with color conte crayon. The lesson will include establishing linear perspective by layering the planes of a foreground, mid-ground and background on lightly toned paper. Students can bring in photos of landscapes that they would like to use for reference. These Workshops for people with Parkinson’s disease and their Care partners include a one-hour private guided tour and a two-hour studio experience with a half-hour break for lunch. The fee for Workshops is $10 per person. Care Partners and Personal Attendants are admitted free. Parking is free of charge. Classes are limited so please register early. Contact Accessible Programs at 215.684.7602. Your Studio art class will be taught by artist Janice Merendino. She is a painter, a ceramic artist, and has been an adjunct instructor at the Museum since 1998. A graduate of Moore College of Art, Janice is Director of The Branch Out Project.